MLK Champions of Dreams is a concept that we developed in 2008 in order to honor local organizations whose mission and work in the community is successful in helping individuals realize their potential and the power of dreaming and pursuing those dreams with great dedication and determination. These established organizations have demonstrated their ability to help people in the Greater Greenville area by giving them hope and resources to help them fulfill their goals and improve their quality of life. To build upon this, for 2010 we will sponsor an MLK Champions of Dreams Community Day event in conjunction with Hands on Greenville and United Way of Greenville County, that will allow local non-profit organizations to gain exposure, increase awareness, advocate their cause, recruit volunteers and solicit community support. If these organizations are helping to create dreams then we want the entire community to know about them! This event will be highly promoted by MLK Dream Weekend, Hands On Greenville & United Way of Greenville County via radio, television & newspaper outlets. 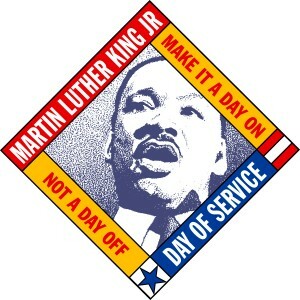 Additionally, national level media attention will occur through HandsOn, Points of Light Institute and www.mlkday.gov. 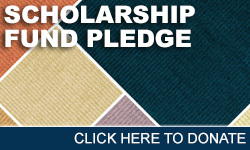 Gain exposure, increase awareness, fundraise, advocate, recruit volunteers and solicit community support for your agency. Community Day will be a great launching pad for volunteer efforts for MLK Week of Service, as well as efforts that carry throughout the year. Set-Up a project at your agency for MLK Week of Service and immediately engage new volunteers (these projects can be similar to H.O.G. Day projects, or a project that you currently have on the H.O.G. on-going calendar). 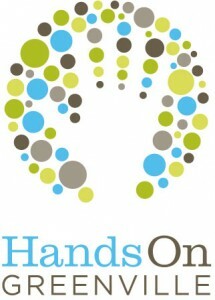 Hands On Greenville will be heavily promoting this week of service and will work to push volunteers to your project. These projects will also be promoted on a national level through Hands On, Points of Light Institute and www.mlkday.gov. For all agencies that participate in Community Day event, Hands On Greenville be working with local area-schools to help set-up various donation drives. Hands On Greenville will advocate for collections primarily for those agencies that participate in this event. Champions of Dreams Community Day will act as the perfect motivator to launch volunteer efforts within our community for 2010. Non-profits can benefit from local donation drives which will take place leading up to the Champions of Dreams Community Day event. These drives will include but are not limited to collections for diapers, canned foods, medical supplies and toiletries. This is a great way for agencies to build up resources after most agencies are quite depleted after the holidays. Seat for Social Justice: Students, parents, & residents will work to decorate an old bus seat with a collage of headline clippings, pictures, etc that were prominent images during the time of integration. Students will talk about their feelings about the images before them and have an open dialogue about the happenings of these times. Place Mats: Create colorful placements that will be distributed with delivered meals to the elderly and homebound. Artwork Smiles: Design and draw happy cards that will send smiles to patients in Hospice Care. We Have a Dream Poster: Hands of many sizes will be traced onto different colors of. Individuals can decorate their hands and then they will be cut out and glued around a world on a poster. Posters will have “We Have a Dream” at the top of the posters. Dr. Martin Luther King, Jr. Learning: There will be learning station that will feature coloring pages, crosswords, writing exercises, etc that will reflect upon the teachings of Dr. Martin Luther King, Jr.